Though a JD degree can lead to an array of practice areas – from securities to sports law, environmental to energy law – students focused on specialized fields can use Tulane’s dual-degree programs to open more doors in traditional practice and beyond. In four years, students can earn a JD combined with a graduate degree in another field, yielding deeper expertise and broader career opportunities. 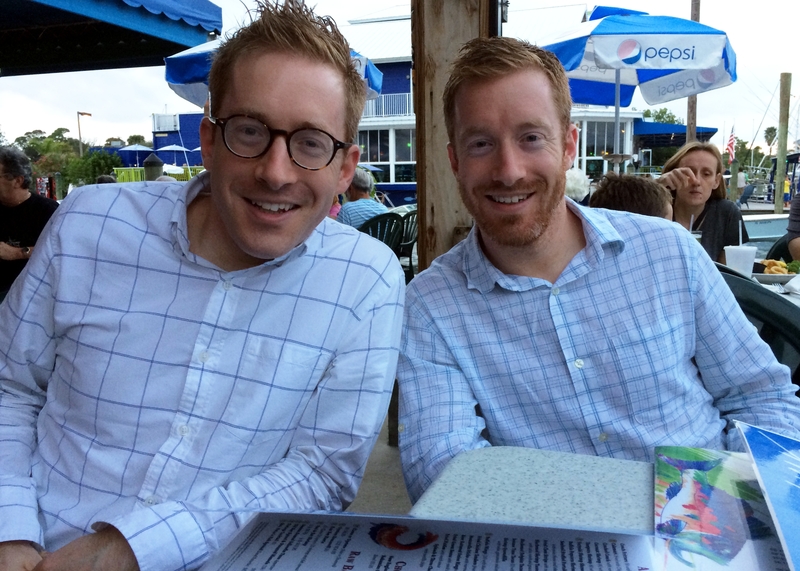 In Lagniappe’s final dual-degrees feature, meet identical-twin brothers who paired their JDs with MBAs and now are tax attorneys for leading national corporations, one in-house and the other as outside counsel. As an undergraduate student, Brian Page (L/MBA ’09) aimed toward a career in politics. But that ambition waned after he completed internships in the field and earned a political science degree, so he took an alternate path. He refocused on law and business and enrolled in Tulane’s combined program. His path veered again when Hurricane Katrina hit the Gulf Coast just days into his first year of graduate studies. Brian’s apartment flooded, ruining everything he owned. When Tulane’s classes reconvened in January after a semester’s hiatus, he faced a less-than-ideal situation for studying: living in temporary housing, having to replace all his possessions and attending a condensed lineup of classes. Rich and Brian Page earned joint Tulane JD and MBA degrees within one year of each other and are both practicing as business and tax attorneys. All photos courtesy of Rich and Brian Page. Brian’s hard work paid off. He landed an internship with ExxonMobil during school that turned into a coveted career opportunity after graduation: working in-house for a major energy corporation. 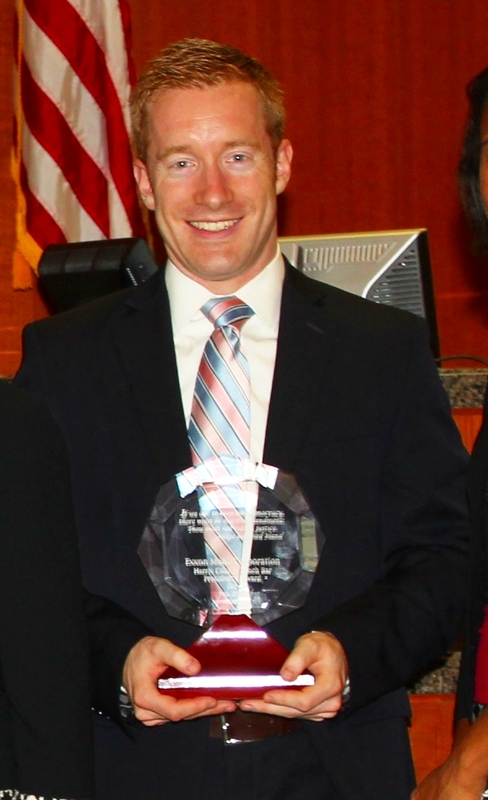 Brian, who went on to earn an LLM in tax from New York University School of Law, worked at ExxonMobil’s locations in Fairfax, Virginia and Houston before taking on his current role as a tax attorney at the company’s worldwide headquarters outside Dallas. Lagniappe: Why did you pursue dual degrees? Brian: My main motivation was curiosity. I was interested in both fields, and I wanted to learn about both business and law, so the program seemed like the perfect fit for me. I majored in political science in college and had internships focused on politics, but I discovered that I wasn’t as interested in that area as I originally thought I was. In the end, I felt drawn more to law and business. Lagniappe: What was your experience in the two programs? Brian: I focused closely on finance at the business school and thought it was a great program. . . . I took many tax law classes at Tulane Law and also some real estate law classes. . . . Overall, I found that the two programs really reinforced each other, and I was able to pick up a strong understanding of both fields. Lagniappe: How did you balance the two programs? Brian: It was very busy! You have to really learn to manage your time and be prepared to not have a lot of spare time for certain stretches, especially because many of the JD/MBA students end up taking two or three more credits per semester than students in just one program. I also should mention that I did the whole program in three-and-a-half years. I got to Tulane in August 2005, right before Hurricane Katrina, went back in January 2006 and graduated in May 2009. In the hurricane, I lost everything – all my possessions. My apartment was destroyed in the storm, was later looted and had mold growing over everything. I had to live on a cruise ship for my first month back at law school. And after all of that, just two-and-a-half years later, I was interning with ExxonMobil, the largest publicly-traded company in the world. It shows you that you really have to count your blessings and not count yourself out sometimes. You have to keep trying even when things are difficult, because something really good could be right around the corner. Lagniappe: What are some of the benefits you’ve gained from your dual degrees? Brian Page (L/MBA ’09) accepted the 2012 Harris County Bench Bar Pro Bono President’s Award on behalf of ExxonMobil. The award recognized the company for its pro bono service to low-income Houston residents. Brian: One thing I definitely find is that my background has helped me be quicker at analyzing complex material. I’m often working closely on business projects with financial spreadsheets or calculations . . . all of which can be more complicated than you’d initially imagine. I think I grasp those things more quickly than some of my peers who just went to law school and didn’t study finance. Also, a lot of law school is based solely on your exams at the end of each semester, but business school focuses more on teamwork and presentation skills. As an in-house attorney, I’ve drawn on those skills considerably when giving presentations and participating in meetings. . . . The skills you’re forced to learn coincide very well with what it’s like to work in a big corporation. I think it also helps in terms of being relatable to people or connecting with folks. As an attorney, so many of your clients have gone to business school, whether it’s in an undergraduate or MBA program. With the group I’m in now, I’m working very closely with 20 MBA graduates. So the fact that I also did that program means I can relate better to them and know what they know. It’s really valuable from a connections standpoint. Lagniappe: What advice would you give students considering dual degrees? Brian: I think the sooner, the better to focus on one area for employment if you’re in a dual-degree program. If you target one thing, you can become really focused on that area of law. I think that allows you to get internships, learn about the industry to know what you’re getting into and be more well-informed about the job opportunities available. It’s also a good signaling mechanism to employers, showing what your primary interest is in. For the most part, while it can be tempting to switch around and explore different areas, I think it’s better if you can choose earlier on. . . .
More generally, I think the program is really valuable. It’s an extra year of school, so you’re not working or earning a salary as soon as you could be, and the opportunity cost seems expensive. But you have 30+ years to work, and the skill sets you build and benefits you gain from being better-rounded will easily make up for the initial expense, so I think it’s certainly worth pursuing. Rich Page (BA ’04, L/MBA ’10) says he has “an insatiable appetite for learning.” His five degrees back that up: BA in political science from Tulane University; MPP from the University of Chicago; JD/MBA from Tulane; and LLM in taxation from Georgetown University Law Center. The New Jersey native says he actually considered going for a PhD after earning his master of public policy. But he instead opted for the JD/MBA combination after weighing the broader practical and professional benefits. 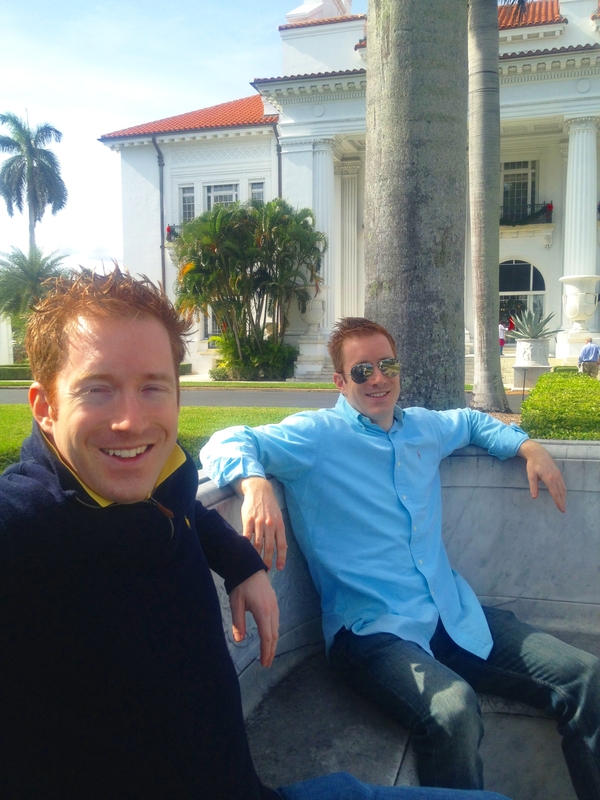 And when selecting law and business schools, Rich quickly decided on Tulane — where he’d completed undergraduate studies and where his brother, Brian, also was studying in the JD/MBA track. After enrolling, Rich balanced both schools’ course loads while serving on the Tulane Law Review. Rich Page (BA ’04, L/MBA ’10) holds five degrees — three from Tulane — counsels clients on the tax impact of business transactions and investments at Akin Gump’s New York office. 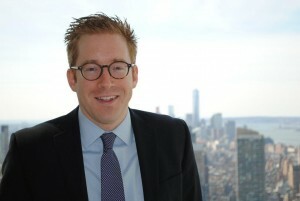 Now practicing tax law in the New York office of law firm Akin Gump Strauss Hauer & Feld, Rich says his joint legal and business background help him serve his clients’ diverse and complex needs. Before joining Akin Gump, he worked with Deloitte and Ernst & Young, two of the world’s prestigious “Big Four” professional services firms. Lagniappe: Why did you decide to pursue dual degrees? Rich: I knew I wanted to go into professional services, and I didn’t see law and business as entirely separate. I figured if I ended up focusing most of my career working on the business side, I’d want to have a firm understanding of the law, and, alternatively, if I ended up working full-time as an attorney, I would want to have a deep understanding of the business world, how people there think and what formal training they have received. . . . I should also add that I have an insatiable appetite for learning. I had very seriously considered going for a PhD, and the JD/MBA was the alternative for me. One thing I considered when deciding, was that, from a practical standpoint, the JD/MBA would open many more doors career-wise. I also saw it as a much more powerful learning opportunity than a PhD. The information you learn in the JD/MBA is generally much more applicable to everyday life. Lagniappe: What drew you to Tulane’s program? Rich: I was tired of the cold winters in Chicago [where I earned my master of public policy], but I also really enjoyed my time at Tulane. I missed New Orleans, and I knew that Tulane has highly reputable business and law programs, which not every school has. 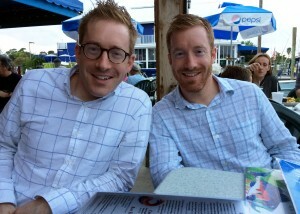 Additionally, I had the unique situation that my identical twin brother was pursuing combined Tulane JD and MBA degrees at the same time, and he thought it would be fun if I joined him. Lagniappe: What was your experience in the dual-degree program? The Page brothers spent three years together at Tulane studying law and business — and enjoying New Orleans. Rich: I thought it was a very good combination, because business and law are very closely related. Oftentimes, I had business classmates asking me legal questions when something about contracts came up in our business courses, and I also had law school classmates asking me business questions about things like finance and investments. Also, both programs focus on writing and communicating clearly, which I thought was great. Even as a law student, you can benefit from taking courses at the business school about public speaking and business communications. Lagniappe: How do you think your combined degrees have helped in your career? Rich: The degrees have definitely helped. I’ve actually had clients and prospective clients who have been directly interested in engaging someone who has a joint legal and business background. One of the largest engagements I worked on at Deloitte was with management consultants on-site at a Fortune 100 company, where the client specifically requested that someone with a law degree join Deloitte’s team there. So I was specifically sought out to work as a business consultant within the general counsel’s office of a major company, which I did for about six months. I also have a prospective client who is the CEO of a family business that has about $30 million in annual revenue, and he has said he wants me to be his point person directing all of his professional services. He’s not seeking someone who’s just an attorney or a business advisor. He really likes my comprehensive background, because he’s seeking both legal and business advice. He wants someone to look at the entire scope of his international business operations, give him advice from A to Z and help him identify other professional service providers he might need. Lagniappe: Do you have any advice for students considering dual degrees? Rich: For the JD/MBA or any other dual-degree program, I wouldn’t focus exclusively on short-term career benefits. The degrees very well may help you in terms of short-term job placement, but I would also think of it as an educational pursuit and a long-term investment in yourself, your personal knowledge and your career. This entry was posted in Alumni, Dual degrees, Student jobs, Student life on April 23, 2015 by tlslagniappe. New law students may be counting down the days until they can choose their courses as upperclassmen and explore a wide range of legal topics. But they may not realize they can broaden their studies even further by adding onto their JD degrees. Tulane’s dual-degree programs equip students with invaluable skills and opportunities to excel in specialized career paths — by earning a JD with another graduate degree in only four years. From the JD/MSW to the JD/MA in Latin American Studies, dual degrees open doors in traditional legal practice and far beyond. Lagniappe’s second dual-degrees installment features a grad who’s aiming for a career in national health policy and joined her JD with a Master of Health Administration. K.T. Kramer (L/MHA ’14) started with a clear vision for grad school: earn a master’s in public health to learn strategies for improving international health systems. But her path shifted while she was working for the Peace Corps, when she realized she needed to understand the law in order to shape meaningful policy. She decided on dual JD and MPH degrees and enrolled at Tulane. Shortly after she signed on, though, her course veered again. She switched to a combined JD and MHA track so she could learn to navigate increasingly complex health systems in the U.S.
K.T. 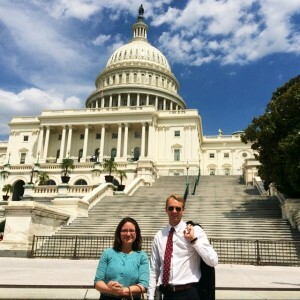 Kramer and Leif Brierley, this year’s two David A. Winston Health Policy Fellows, are both working on Capitol Hill for the final months of their fellowships. All photos courtesy of K.T. Kramer. K.T. successfully juggled the demands of both programs at Tulane. 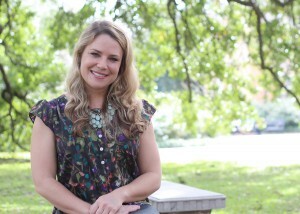 During school, she investigated employee benefit claims while working at the Department of Veterans Affairs’ New Orleans office; was active in the Public Interest Law Foundation and the Disability and Health Law Society; and analyzed municipal health laws as an extern with the City of New Orleans’ Health Department. After graduation, the West Virginia native began a yearlong program as one of only two David A. Winston Health Policy Fellows. The Winston Fellowship is a national postgraduate program based in D.C. During the program, fellows rotate through meetings with national health care insiders over three months, then work at full-time health policy placements for the remainder of the year. As part of the prestigious and highly selective program, K.T. has met with more than 200 health executives and policy leaders to learn the industry from the inside and is now working with Sen. Lamar Alexander, chairman of the U.S. Senate Committee on Health, Education, Labor and Pensions, in Washington, D.C.
Lagniappe: Why did you go for dual degrees? K.T. 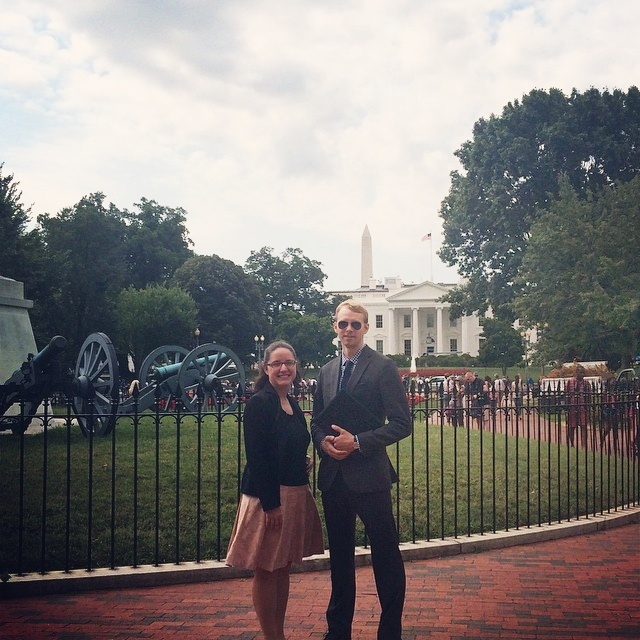 : I decided to look at joint-degree programs while a Peace Corps volunteer in Turkmenistan. When I started Peace Corps, my future plan was to get an MPH and work in global public health programs. However, while in Turkmenistan, I became much more interested in understanding how health systems as articulated in laws, regulations and policies are translated into people accessing health care and services. . . . But I realized I didn’t understand the language of the applicable law, and I needed to become proficient in that to be able to make real changes in health care, so I decided to earn a JD as well . . . When I returned to the U.S. in 2010, I initially enrolled in the JD/MPH program, but I realized after the passage of the Affordable Care Act that the same questions of how to translate law into a real health system were present in the U.S. I transferred to the MHA program because I wanted to get a stronger understanding of the U.S. health system. Lagniappe: What was your experience like in the JD/MHA program? K.T. 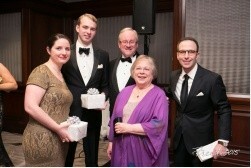 (far left) attends the 2015 Winston Fellowship Health Policy Ball, the fellowship’s primary fundraiser. K.T. : I think, like any student that goes to Tulane, I can say that I had a wonderful experience. It was undeniably challenging to balance the demands of both programs academically and practically . . . . But, I gained substantial subject matter knowledge in both law and health administration, made great friends, had great opportunities to gain practical experience as a student and got to live in New Orleans for four years! Lagniappe: What was your impression of the program overall? K.T. : I think the JD/MHA provided complementary skill sets that were very helpful. . . . [the] combination gave me a strong background that could prepare me for a career in health care, health law or health policy. In particular, the practical aspects of the MHA program – the site visits, the public speaking and the terrifying accounting assignments – were a valuable addition to the law school curriculum. If I pursue health law in any capacity, knowing how to read financial statements and present information to managers will be helpful. Through her fellowship, K.T. (pictured at the White House with Leif Brierley) has explored D.C. and mastered the role of a Hill staffer – researching and analyzing legislation, organizing hearings and completing briefings. Lagniappe: How do you think your dual degrees have helped prepare you for your career? K.T. : I’m currently a health policy fellow, working for Sen. Alexander on the HELP committee, where I staff issues related to the Affordable Care Act, Food and Drug Administration and Public Health Service Act. The joint degree gives me credibility in terms of both law and health care. I was much more familiar with the breadth of issues that I work with on the committee from the start because I learned a lot of the subject matter. Second, as I am realizing now as I search for my next position, the joint degree provided me with a much richer alumni network. And, particularly from the MHA perspective, they are in my field. Tulane’s alumni are fantastic and always willing to be helpful, so it’s incredibly valuable to have those helpful people in the industry that I want to work in. Lagniappe: How would you describe the benefits of a dual degree to prospective students? K.T. : In general, for all the dual degrees, I’d say that seeing both sides and being able to read a regulation or law and understand how to talk about it in the industry you’re working in is an incredibly valuable skill . . . having a more targeted education, you get the understanding of how to talk about legal implications in ways that make sense to the people you’re working with, whether they’re clients or co-workers in a legal organization. . . . Also, when you know you’re interested in a particular subject area and can learn how to talk about the applicable laws for that field, a joint degree is really helpful. Lagniappe: What’s next for you? K.T. : My health policy fellowship will wind up in June. Now, as I’m searching [future] positions, I’m considering all the options: do I want to have typical legal career working for a firm or government office where I work with health care clients, and what are the options there? Do I want to stay in a more policy-focused role, stay on the hill and work with any of the number of think tanks or lobbying organizations here? Or do I want to go to a private company? I have lots of questions to be answered. But having a double Tulane alumni network is very helpful in that regard, and I’m sure it will come into play. There’s something about being from Tulane that makes people very excited to meet you. They’re a very energetic and active group of alumni . . . it’s a great resource. This entry was posted in Alumni, Dual degrees, Student jobs, Student life on April 1, 2015 by tlslagniappe. Law students (and graduates) often cite the JD degree’s breadth as one of its top draws. You can study criminal and corporate law in the same semester, while spending your free time representing indigent clients in a law clinic and pursuing scholarly writing for a legal journal. Law school provides a flexibility and diversity of studies unlike other graduate programs. But Tulane’s dual-degree program allows students to stretch their studies and career paths further. In four years, students can earn two degrees: a JD combined with another graduate degree from a wide range of areas, including business, accounting, healthcare administration, public health, international development, Latin American studies and social work. The extra year of school pays off: Tulane’s dual-degree grads finish on track to be leaders in their fields, with strengthened expertise, extensive alumni networks and expanded opportunities at graduation. In Lagniappe’s first dual-degrees installment, meet graduates who doubled their JDs with a Master of Social Work and a Master of Arts in Latin American Studies. 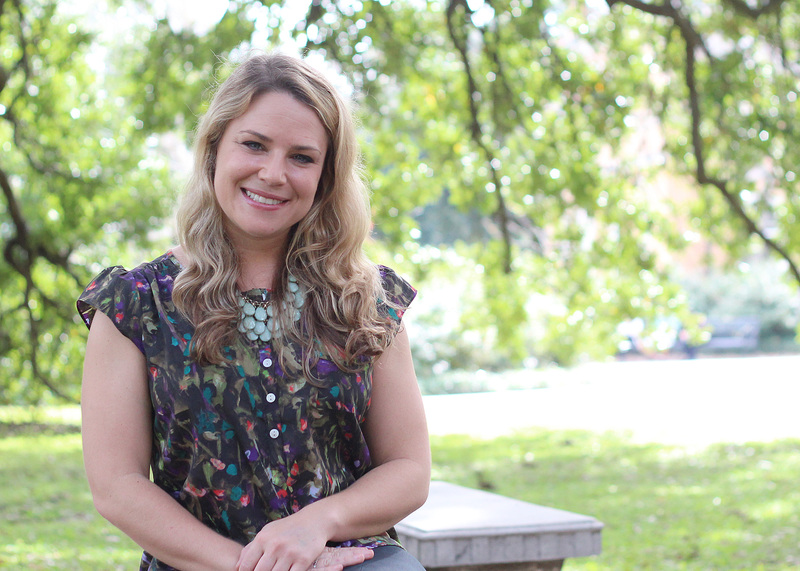 Bethany Van Kampen (MSW ’13, L ‘14) was bent on a career dedicated to helping others – but she didn’t realize how far she could reach until enrolling in Tulane’s dual-degree program. After studying psychology in college, Bethany spent two years with the Peace Corps in Costa Rica, teaching English and female empowerment and helping women develop a small farming business. She then returned stateside to pursue combined Tulane law and MSW degrees. Bethany Van Kampen earned a master of social work in December 2013 and a law degree in May 2014 from Tulane. Photo by Joseph Halm. At Tulane, Bethany delved into women’s health issues: she interned with then-Sen. Mary Landrieu, Judge Bernadette D’Souza at Orleans Parish Civil District Court, AIDSLaw of Louisiana, Metropolitan Center for Women and Children and the National Women’s Law Center; worked as a student attorney in the Domestic Violence Clinic; and co-founded Tulane’s Law Students for Reproductive Justice, an energetic student organization that’s garnered two national awards after being on campus for fewer than four years. After graduation, she landed a job with the public affairs team of Planned Parenthood in New Orleans, gaining both policy and volunteer programming experience. And now she’s completing a fellowship with Sen. Barbara Boxer in Washington, D.C. that’s facilitated by Women’s Policy, Inc. and funded through Tulane’s Newcomb College. Lagniappe: Why did you decide to earn dual degrees? Bethany: I think what really drew me to the dual degrees was the idea of informed policy-making. Social work gives you the ability to understand where your legal clients come from and allows you to meet them at that point. I think certainly in traditional legal practices, like litigation, a social work background helps . . . but it does even more so for those working in policy-making and public interest law. Lagniappe: How would you describe your experience in the combined program? Bethany: It was a little complicated because I switched between the two programs a few times throughout the four years. . . but it was wonderful when I was able to combine both fields. For example, I did a summer internship with AIDSLaw of Louisiana, and I was able to get the social work perspective from working with clients directly, but I was also able to do legal work and get that perspective, too. Lagniappe: What do you think are the biggest benefits of the combined law and social work degrees? Bethany Van Kampen (center right) and her peer Women’s Policy, Inc. fellows attend the organization’s annual gala in Washington, D.C. Photo courtesy of Bethany Van Kampen. Bethany: One thing that’s great about the social work degree is that it helps keep me connected. I think it can be easy to lose sight of the individuals we’re trying to help when we’re working on the macro level, shaping broad law and policy. But my social work background helps me keep that perspective. . . .
Another huge benefit of this degree combination is its flexibility, because it’s applicable in so many settings. Social work is a very broad degree, and so is law. I like the flexibility of being able to do clinical work for a few years, then do policy work, then practice law and come back again! Lagniappe: How do you think your dual degrees have helped set you apart? Bethany: My dual degrees have certainly drawn attention in interviews, and employers have been very intrigued by the combination. And truthfully, the combination is so unique . . . since I’ve graduated and have been working, I haven’t met anyone who has the same degrees I do. Lagniappe: What’s next after your fellowship ends? Bethany: I definitely want to stay on the Hill for another year or two, and then I hope to work for a women’s rights organization doing policy work. There are so many groups in that field here in D.C., so hopefully I can find something. And I’ve recently starting thinking that five years down the road, I’d actually love to come back to New Orleans and maybe run for state representative. 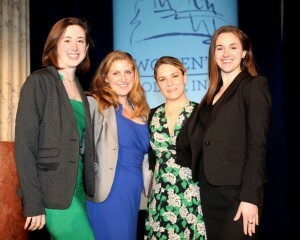 Working in D.C., a theme I keep hearing is that there’s such a lack of young women running for office . . . I really think we need to fix that, and Louisiana would be a great place to do so! 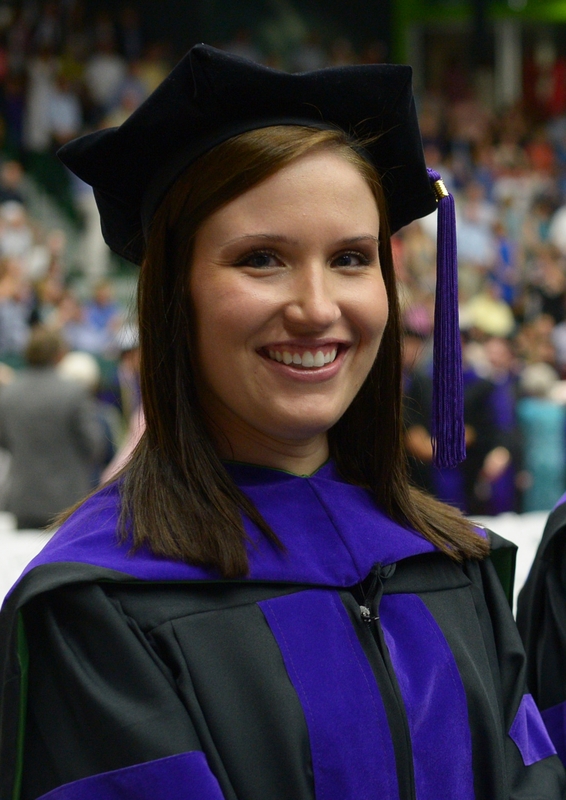 Annalisa Cravens, currently completing a judicial clerkship with U.S. District Judge Martin Feldman in New Orleans, graduated with dual law and Latin American studies degrees. As a Tulane undergraduate student, Annalisa Cravens (BA ‘10, L/MA ’14) immersed herself in her Latin American studies program. She studied abroad in Brazil, Argentina and Mexico, became proficient in Spanish and Portuguese and studied Latin American perspectives in social sciences. But she still wanted to learn more – and decided to continue in Latin American studies when she applied to Tulane Law School. Annalisa spent a year earning her master’s before transitioning to law school, where she also thrived. At Tulane Law, she worked with an immigration clinic and the U.S. Attorney’s Office, completed an externship with Judge James Dennis at the 5th U.S. Circuit Court of Appeals and served as senior articles editor for the Tulane Law Review. And she wrote a law review comment that won a Burton Award for Distinguished Legal Writing, one of the nation’s top legal writing honors. She’s now completing a one-year judicial clerkship with U.S. District Judge Martin Feldman in New Orleans before starting her legal practice at Skadden, Arps, Slate, Meagher & Flom’s Houston office. Annalisa: I earned my undergraduate degree in Latin American studies at Tulane, so I enrolled in the master’s program mostly because I enjoyed my undergraduate studies so much. The master’s program is also fully-funded at Tulane, so I thought, why not? I didn’t realize going into it how much employers would value the master’s degree in terms of language skills and acquisition. . . . Latin American studies is what I really love and enjoy, and I wanted to continue my education in the field. I always say you should do what you like, and things will work out. Lagniappe: How did you break up your studies in both schools? Annalisa: I did one year in the master’s program, and then I did three years of law school. My master’s year actually felt a little like a fifth year of college, since I had just graduated in Latin American Studies the previous summer! It was a very easy transition. Lagniappe: What are some of the benefits of the dual-degree program? Annalisa: Tulane’s Latin American studies program is the best in the states. Every department at Tulane has at least one really strong Latin Americanist, and Tulane is consistently ranked at the top for Latin American studies. And one of the great things about the Latin American studies program is that it’s completely interdisciplinary, and you can pick your route within the program. I did a more social sciences-oriented track, but other students may focus more on language or art. There are classes in economics, sociology, anthropology, political science, art and music, to name just a few. You’re free to pick your area of focus. Lagniappe: How have your dual degrees helped set you apart as a job candidate? Annalisa: Since I’m clerking for a judge right now, my Latin American studies degree hasn’t been the most applicable here. But when I was interviewing for jobs, I was surprised how much employers focused on it. So many interviewers asked me if I was sure I didn’t want to do transactional law, because language skills are great for a transactional practice. But I assured them I wanted to do litigation! And there are plenty of ways I can use my skills in litigation – like international litigation and arbitration or working with foreign clients and attorneys. Also, during my last summer clerking, I had the opportunity to speak with attorneys in Skadden’s New York office who do international arbitration work. And at one point in the summer, the Houston office’s managing partner and I met with attorneys from a firm we were working with in Mexico. It was a great experience. This entry was posted in Alumni, Dual degrees, Student jobs, Student life on March 25, 2015 by tlslagniappe.